The corps became co-ed with the addition of a female colour guard. 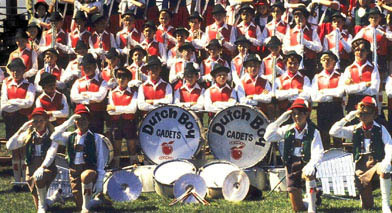 In 1971, the Dutch Boy Cadets went from an all-male corps, to coed. 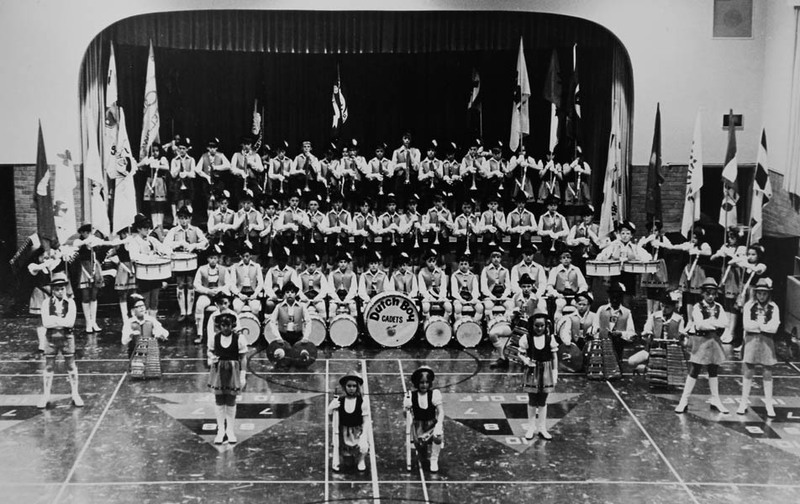 We had been a corps of about 33 members the year before. Along with the new members, came a new set of helpful parents. These parents not only followed the corps, they helped out on the equipment truck, fixed instruments and even cooked when we were away for a couple of days. After a season of hearing these parents cheer for us, I had to get to know them. I became friends with their kids. The parents were good people and I quickly began to like them, not only for their support but for their friendship as well. Whenever we had a problem or concern, they were there to talk with us and help us. We also had a couple of mothers who were nurses, which really helped when it came to helping with medications some of the kids had to take. Most parents that love traveling with the corps did so at their own expense. As far as I know, none ever asked for gas money, even though the price of gas in the mid 1970s was extremely high. They did what they did because they wanted to do it. There was one time when three of our members had to go to summer school. When they were finished, one of the parents volunteered to bring them to join the rest of us. Here some 30 years later, most of the kids in the corps are married and now have our own kids, many of whom are currently in the corps. I see the tradition of parents following the corps continuing, just like it had for us. Even today, when I meet one of these great people, we stop and talk about the good old days and all the fun we used to have. The memories and the friendships we had are still deeply engraved in our brains.